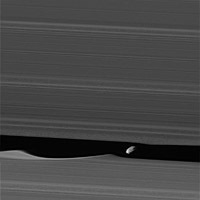 The little moon's gravity raises waves in the edges of the gap in both the horizontal and vertical directions. Cassini was able to observe the vertical structures in 2009, around the time of Saturn's equinox (see PIA11654). 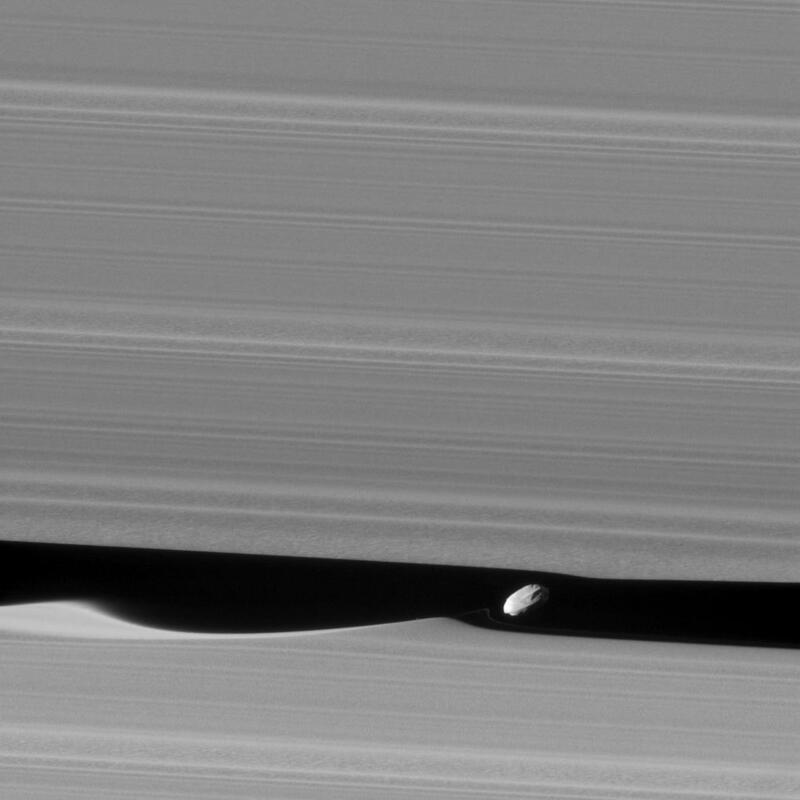 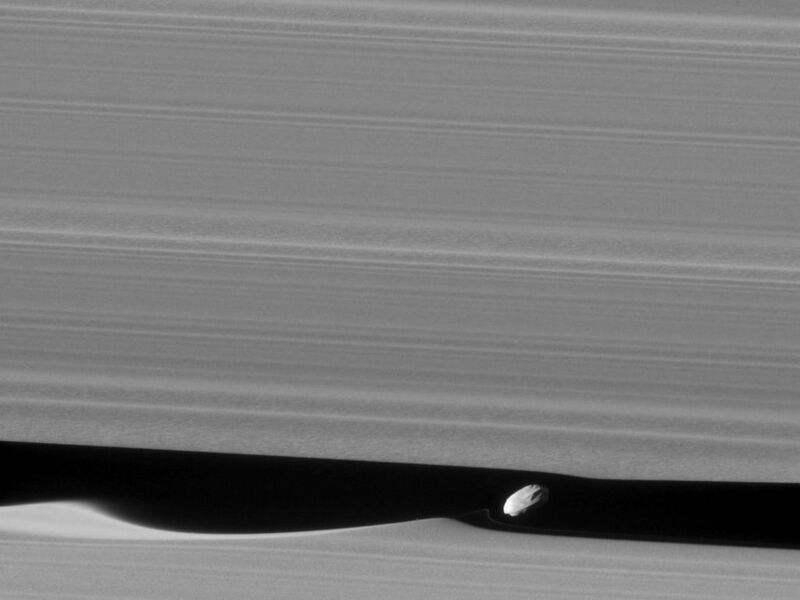 Like a couple of Saturn's other small ring moons, Atlas and Pan, Daphnis appears to have a narrow ridge around its equator and a fairly smooth mantle of material on its surface -- likely an accumulation of fine particles from the rings. 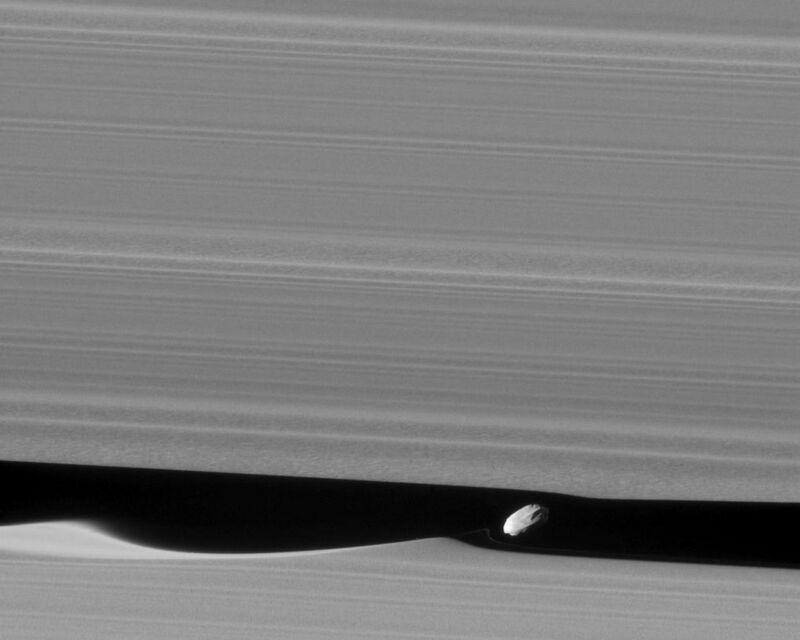 A few craters are obvious at this resolution. An additional ridge can be seen further north that runs parallel to the equatorial band. 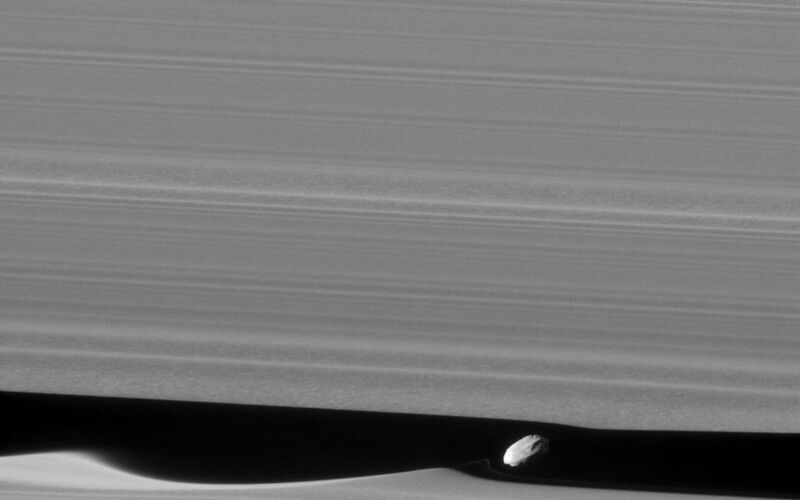 An enhanced version of the image is also available, which has been processed to remove some of the smearing seen in the originally released image due to spacecraft motion, resulting in a slightly sharper view (see above).